Change up your investment strategy. Diversify with bonds! Stock, bonds, mutual funds—are all of these elements really necessary in your investment portfolio? Yes! 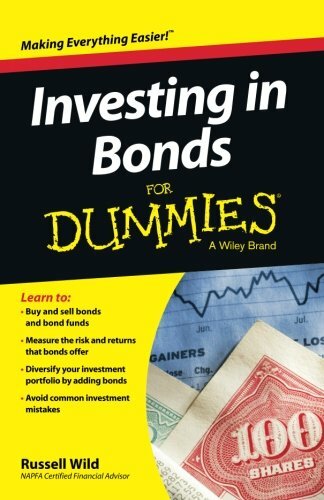 Investing in Bonds For Dummies introduces you to the world of bond investment—and equips you to diversify your portfolio—through the concise and approachable presentation of the details surrounding this form of investment. This engaging text offers a clear, yet thorough take on the background of bond investment, helping you understand why it's such an important part of a well-rounded portfolio. Additionally, the book explores bond returns, risks, and the major factors that can influence the performance of bonds. When it comes to diversifying your investment portfolio, most financial advisors recommend a strategy that mixes high- and low-risk options, allowing you to protect your investment without being too conservative. Depending upon your age, financial goals, and other key factors, the percentage of your portfolio made up of bonds may vary; however, it's safe to say that bonds will play a role in your investment strategy. Investing in Bonds For Dummies can keep your investment portfolio from getting stagnant by showcasing why diversification with bonds is essential to a successful investment strategy! If you have any questions about this product by For Dummies, contact us by completing and submitting the form below. If you are looking for a specif part number, please include it with your message.